Why Are America’s Children Sicker Than Ever Before? Home / 2017 / June / 5 / Why Are America’s Children Sicker Than Ever Before? 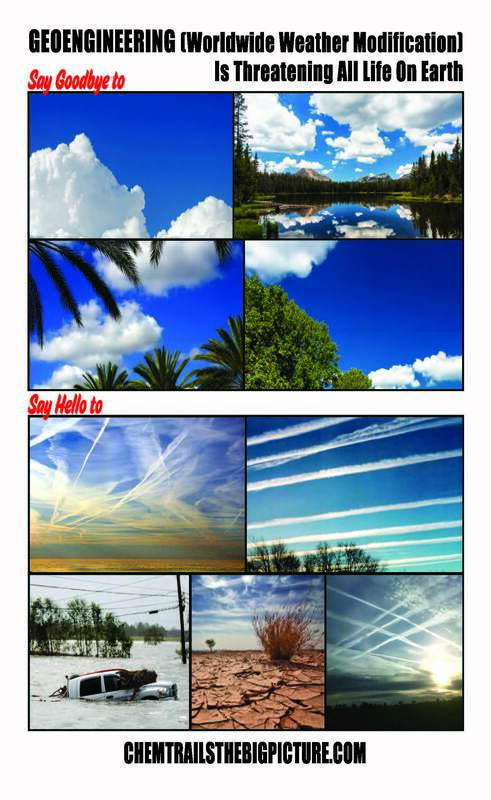 It’s unfortunate that the author doesn’t mention chemtrails, the contamination of the very air we breathe. We have come to defend freedom of thought, speech and conscience, the inalienable natural rights that unite us, regardless of where we live, the color of our skin, the faith that sustains us, or the philosophies that define us. We are calling on government to do its job and protect the people’s health — instead of protecting profit-making industries doing business with government and manipulating information released by the mainstream media. 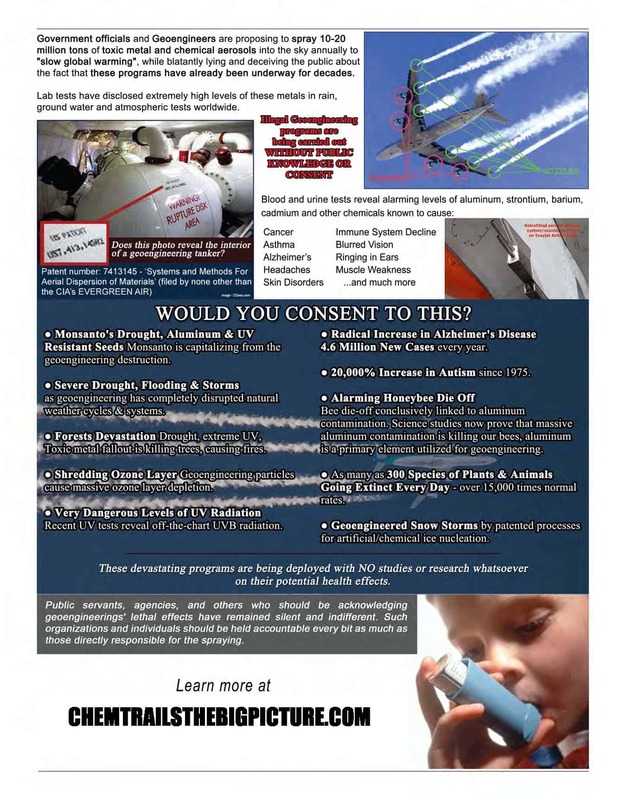 We are advocating for the right to know the truth about the safety of the food we eat,9 the water we drink,10 the drugs doctors prescribe11,12,13 and the vaccines Americans are forced to get to attend school,14 receive medical care15,16 and hold a job.17,18 And we are here to witness the suffering of our children, who have no voice and have no choice except the one that we, their mothers and fathers, give to them. Why Are American Children Sicker Than Ever Before? What kinds of jobs will they hold? Where are they going to live? What happens when their parents die?31 We will not be silent as the biological integrity of another generation of children is destroyed in this bitter harvest that can only continue if we allow it to continue. I say this as a mother who witnessed my healthy, bright 2-and-a-half-year-old child suffer a convulsion, collapse shock and brain inflammation32,33 within hours of his fourth DPT shot in 1980, that left him with multiple learning disabilities and 12 years confined to a special education classroom in the public school system. My son did not die and he was not severely brain damaged like so many children for whom the risks of vaccination turn out to be 100 percent. Where is the good science that demonstrates children are healthier when repeatedly given vaccines that artificially hyper-stimulate inflammatory immune responses 50 times before age 6?40 Just how sick do highly vaccinated children in America have to get before government health officials re-evaluate the assumption that more and more vaccination equals better health? And why is government joining with the chemical industry to block the labeling of GMO food45 so that Americans do not have the right to know, and freedom to choose, what they eat and feed their children? Why was the 21st Century Cures Act created by Congress46 and signed into law last year so FDA licensing and informed consent standards could be lowered even further? Now the skids have been greased for the pharmaceutical industry — the biggest lobby on Capitol Hill — to experiment on people without their consent, and to fast-track drugs and vaccines to market even more quickly, without proving they are safe and effective first. And certainly not when drug companies have no incentive to make vaccines less harmful because all Americans are legally required to purchase and use their liability-free vaccine products. Every promise that Congress made to parents in 1986 was a lie. And 30 years is long enough for parents to wait for that failed experiment in tort reform to work. Twenty years later, parents of vaccine injured children in the Washington D.C. area founded the educational charity known today as the National Vaccine Information Center (NVIC) and launched the vaccine safety and informed consent movement in America,52 while the environmental,53 safe food54 and holistic health55,56,57 movements in the 1980s were also being powered by ordinary people demanding the people’s right to know and freedom to take control of their health. And now, in the 21st century, at a time when most people know somebody who was healthy, got vaccinated and was never healthy again, the public-private partnership between industry and government is moving to strip citizens of the human right to informed consent to medical risk taking. Albert Einstein, who risked arrest in Germany in the 1930s when he spoke out against censorship and persecution of minorities, said, “Never do anything against conscience even if the State demands it.”68 There is no liberty more fundamentally a natural, inalienable right than the freedom to follow our conscience when choosing what we are willing to risk our life or our child’s life for. These are legitimate scientific and ethical questions that should not be ridiculed. Yet government, medical organizations and members of the mainstream media are demonizing a growing number of people who wonder why they either have a child, or know a child, who was born healthy and then suddenly regressed physically, mentally and emotionally and joined the ranks of the walking wounded. It was not always this way in America. I grew up in the 1950s and ’60s and remember when every child got measles, mumps and chickenpox before age 10, but there were no special education classrooms in public schools to house legions of learning disabled, autistic and emotionally disturbed children. The biggest public health emergency in America is not a few measles cases at Disneyland in a population of 320 million people,106,107, where less than 1 percent of children are unvaccinated108 and 95 percent of them have gotten two measles shots, five pertussis shots,109 plus dozens of doses of other vaccines. So, when Congress appropriates $1 trillion a year to the Department of Health,113 government officials employed by the CDC, NIH and FDA do not use that taxpayer money to fund quality research to identify children at high risk for vaccine injury, or to compare the health of vaccinated and unvaccinated children to find out why parents consistently report that unvaccinated children are healthier and get higher grades in school than vaccinated children. Instead, public health officials hide their heads in the sand and collaborate with industry to create hundreds of new experimental vaccines119 that will be fast-tracked to licensure120 and forced on you and everyone you know — no exceptions and no questions asked. And tomorrow? If Americans do not get off their knees and stop worshipping doctors promoting junk science, tomorrow you will not be able to get on a bus, train or plane; enter a store or sports arena; obtain a driver’s license, file your taxes or function in society unless you can prove you have gotten every vaccine that industry creates and doctors implementing government policy order you to get. And if you or your child get vaccinated, suffer brain inflammation and never recover your health, you can be sure that it will either be dismissed as a coincidence, or you will be labeled genetically defective with the claim you would have become brain damaged even if no vaccines had been given.132 It is already being done and it is so easy to do, when nobody making, selling, licensing, giving and voting to mandate vaccines has any accountability in a civil court of law. And the ones who know deep in the core of their being that their children are in danger are the mothers, who carry their babies inside them for nine months and give birth, and are endowed with a primal instinct that gives them the courage to protect their babies from harm until they are able to survive on their own. When the state considers one of us to be expendable, then we are all considered expendable. And if the state can tag, track down and force individuals to be injected with biologicals of known and unknown toxicity today, then there will be no limit on which individual freedoms the state can take away in the name of the greater good tomorrow. We can only throw off the chemical chains making us sick if we act to instill truth, integrity and compassion in government and defend freedom of thought, speech, conscience and informed consent to medical risk taking. There is no greater calling for Americans in the 21st century than to defend those cultural values and human rights that protect against tyranny. We will not be silent. We will not go away. We are the daughters and sons of liberty, and our mission continues: No forced vaccination. Not in America. Harvard “Solar Engineering Program” Launches Spring 2017! Where Is Honest Journalism Amidst False Climate Change Propaganda?